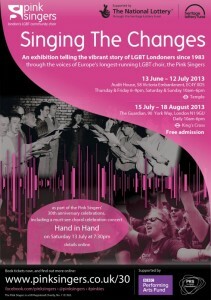 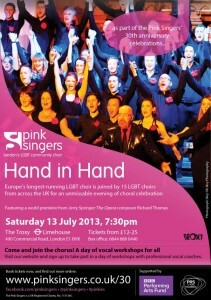 After months of secret preparation we’re thrilled to announce our programme of summer events to mark our 30th anniversary, including a concert featuring 15 other LGBT choirs from around the UK, a world première, an exhibition charting LGBT history in London during the last thirty years, and a set of vocal workshops open to all. 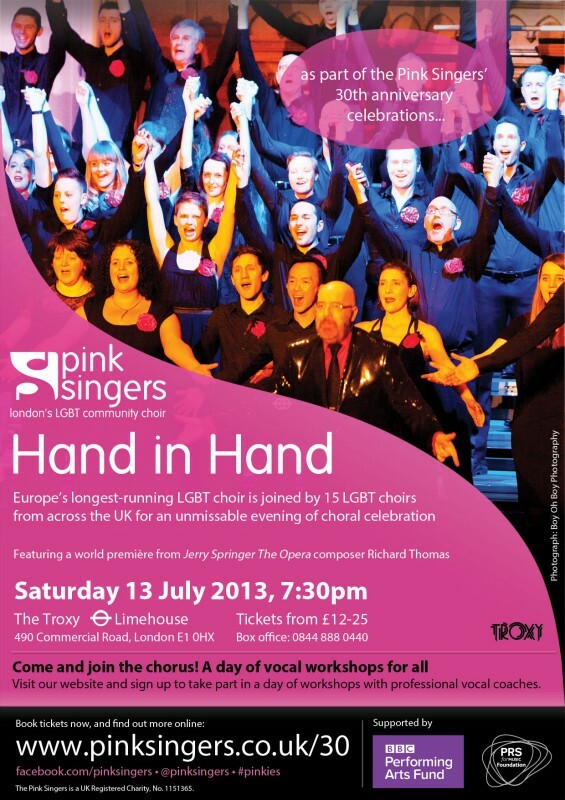 We’re so excited in fact, that we’ve made a special microsite which is packed with all the details of what’s happening and how to get involved. Next Next post: On rehearsing our new commission, Part 1: "I, Choir"